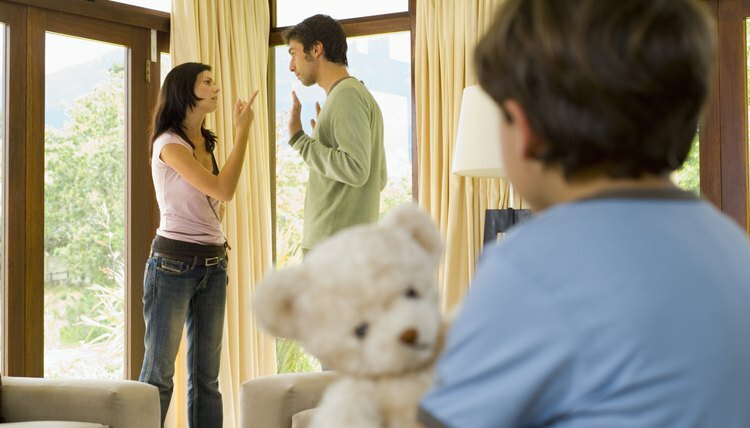 In a Divorce Am I Responsible for Kids That Are Not Mine? There are some situations in which you can ask a court to legally terminate your responsibility for supporting children who are not yours after your divorce. Whether you are held responsible for supporting the children depends on the children's legal status as your biological kids, your adopted children, your stepchildren or children born during your marriage who are shown to have been fathered by another man. Nineteenth-century American courts followed the British legal principle that children born to a married couple legally belonged to the woman's husband, and he was obliged to help support them after a divorce. Legal adoption appeared in America when Massachusetts passed the first adoption law in 1851. Adoptive parents acquired the same obligations to children after divorce that biological parents had. Stepparents, however, had no legal duty to support stepchildren after divorcing their stepchildren's biological parent. Current American state divorce law requires that you support any children who are biological children born to you and your spouse during the marriage. You are also required to support any children whom you and your spouse legally adopted during the marriage. The situation is different for stepchildren and for children born during a marriage who were fathered by a man other than the woman's husband. Your stepchildren -- the biological kids, adopted children and stepchildren that your spouse acquired in another marriage or relationship before marrying you -- are usually not legally entitled to support from you after you divorce your spouse. However, if you signed a contract with your spouse agreeing to provide child support for a stepchild after a divorce, a court will likely compel you to honor the contract. As a husband, you are not required to support children born during your marriage who were fathered by another man if you did not consent to the situation. If you are planning to contest the paternity of a child born to your wife during your marriage, it is important to familiarize yourself with the paternity laws of the state where you live. FindLaw.com has links to the paternity laws in all fifty states. You can request that the court overseeing your divorce require you and the child to undergo DNA testing. If the child is shown by DNA testing to have been fathered by another man, you are not obligated to support the child after the divorce. Be aware that even if a child born during your marriage is conclusively proven by DNA testing to be the child of another man, your wife can contest your refusal to support the child by showing a court that you knew during the marriage that the child was not yours and you accepted the situation. For example, you told the child that you were her father, allowed the child to live in your home and supported the child. A court may then order you to support the child after the divorce. As a stepchild, you do not have the inheritance rights of a biological or adopted child. If your stepparent wants to leave you cash, property or other bequests in a will, he or she must specifically include you in the will. Otherwise, it's possible for you to receive nothing, despite your stepparent's wishes. If you are presently not living with the mother of your children, you may be dealing with child support issues. If you are having difficulty meeting your financial child support obligations or you have other problems concerning child support, help is available. Fathers' rights organizations, state local agencies and even the federal government provide resources to help fathers resolve their child support issues. Can You Receive Child Support if a Child Was Not Legally Adopted?